It is a narrative of generational poverty: a boy is born to a mother who already has more children than she can feed in the ghetto of Chicago. The boy grows up hungry, steals and fights, purchases a gun and steals a car, attempts to run, but is shot and killed just as his own child is born. The song implies that the newborn will meet the same fate, continuing the cycle of poverty and violence. The feeling of an inescapable circle is created by the structure of the song, with its simple, stark phrasing; by the repetition of the phrase “in the ghetto” as the close of every fourth line; and finally by the repetition of the first verse’s “and his mama cries” just before the beginning and as the close of the last verse. 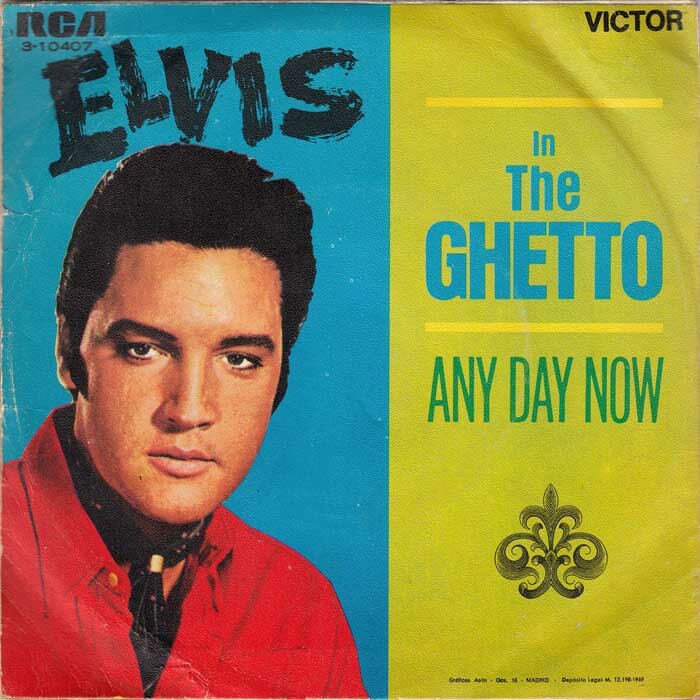 “In the Ghetto” was recorded during Presley’s session in the American Sound Studio in Memphis, Tennessee. It was Presley’s first creative recording session since the ’68 Comeback. Other hits recorded at this session were “Suspicious Minds”, “Kentucky Rain”, and “Don’t Cry Daddy”.